Ever been to one of those fast food Chinese restaurants that turned into a fast food Mexican restaurant overnight? Suddenly the Happy Taco opens on your block and the same dude that delivered General Tso’s to your neighbor three nights a week is slinging enchiladas? Well then you don’t get out enough. What does that have to do with Aurora? Nothing really, I’m just craving Kung Pao enchiladas. Actually, I bring that up because Aurora is an excellent Williamsburg Italian restaurant that’s apparently run by fiery Latin people. And we’re not talking about some kind of fusion thing here. This is real deal Italian food, down to the hand made pasta and fresh burrata. Other than the friendly Latin staff, the occasional salsa music on the playlist, and the watermelon sangria, you would think Aurora was a Williamsburg cousin of Supper. And as you would expect from a place reminiscent of those East Village favorites, Aurora’s solid food and charm make it a great First/Early in the Game Date spot. The noticeable lack of hipsters also makes it a good option for Dinner with the Parents, just swing them by the ATM first - it’s cash only. But the real notable feature at Aurora is the garden. A huge, partially covered, and well-greened patio make this one of Williamsburg’s best Outdoor/Patio Situations. On prime days, just make sure to reserve ahead of time if you want a table outside, or be prepared you to face a sultry yet slightly annoyed hostess that looks kind of like Penelope Cruz. So yeah, on second thought...walk-ins recommended. One of the antipasti specials, this was a fresh burrata with what seemed to be a half-pound of black truffle shaved on it. Seriously, look at that thing. I was expecting everything I ate to taste like truffles for days after this, but somehow you could hardly tell they were there. Strange. The mozzarella was delicious, but I felt duped. A watermelon salad with feta cheese and olives. That’s a winning combination in our book, and this salad was no exception. Strongly recommended by our waiter and severely disappointing, this pot of eggplant was way too sweet. Don’t do it. This dish is perfect. We love pastas tossed in lemon and nuts, and this thing was incredible. Thick cut fresh fettuccine in a lemony sauce and some pine nuts for crunch. We’re coming back for this dish alone. Another amazing pasta dish from the specials menu, this time with an delicious bolognese sauce. Simple does the job. A market fish filet with white wine, tomato, and olives. We had branzino, and it was delicate and tasty, though didn’t quite pack the wow factor that the pastas did. 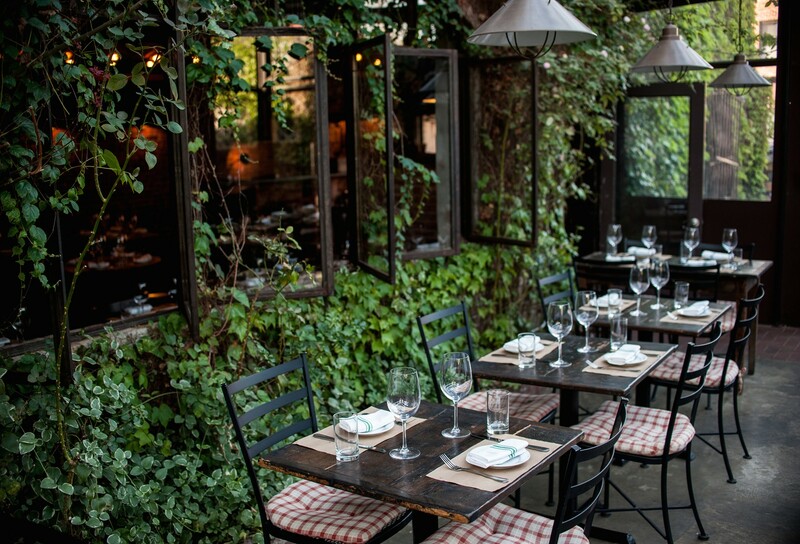 A casual, cute place in Williamsburg for Mediterranean dinner and brunch. Lil’ Gem is a Lebanese restaurant in the Lower East Side where you can meet a friend while feeling like you haven’t left your couch.